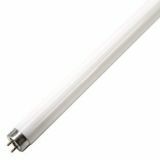 Fluorescent Tube T8, 10 W, 220 VAC, 6500 K (cool daylight), 340 mm Fluorescent linear lamp T8, 10 W, 220 VAC, 6500 K (cool daylight), 340 mm. 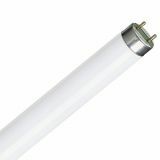 Fluorescent tube 15W, T8, 640, 6500 K, cool white, 435 mm Fluorescent linear lamp with wattage 15 W and voltage 220 VAC, cool white. Fluorescent UV Tube T8, 15 W, 220 VAC, 450 mm, mosquito net Fluorescent UV linear lamp T8, 15 W, 220 VAC, 450 mm, mosquito net. 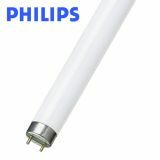 Fluorescent Lamp 18 W, T8, 865, 6400 K, cool white, 600mm Fluorescent linear lamp with power18 W and voltage 220 VAC, cool white. Fluorescent Tube T8, 18W, 220VAC, 6500K (cool daylight), 600mm Fluorescent linear lamp T8, 18 W, 220 VAC, 6500 K (cool daylight), 600 mm. Fluorescent Tube T8, 18 W, 220 VAC, 600 mm yellow, green Fluorescent linear lamp T8, 18 W, 220 VAC, 600 mm. List Price: 3.80лв. VAT Incl. 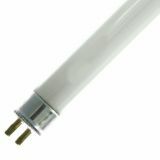 Fluorescent Lamp G13, T8, 36 W, 220 VAC, 100 cm Fluorescent linear lamp with wattage 36 W and voltage 220 VAC, daylight. Fluorescent Tube G13, T8, 36 W, 220 VAC, 865, 6500 K Fluorescent linear lamp with wattage 36 W and voltage 220 VAC, cool day light. Fluorescent tube 1200mm, 36W, 220VAC, T8, G13, 6500K, cool white Fluorescent tube T8, lenght 1200mm, power consumption 36W and cool white lighting 6500K. Fluorescent Tube 58W, T8, 230VAC, 6500K, 1500mm Fluorescent linear lamp T8, 58 W, 230 VAC, 6500 K (cool daylight), 600 mm. 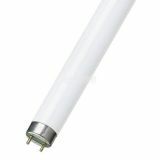 Fluorescent tube 58W, T8, 865, 6500K, cool white, 1500mm High efficient TL-D fluorescent lamp, standart T8, 58 W power consumption and cool white colour (6500 K). List Price 4.99лв. VAT Incl. 4.74лв. VAT Incl. 4.49лв. VAT Incl. 4.24лв. VAT Incl. Fluorescent Tube T4, 6 W, 220 VAC, 54, 250 mm Fluorescent linear lamp T4, 6 W, 220 VAC, 54, 250 mm. Fluorescent Tube T4, 8 W, 220 VAC, 6500 K, cool daylight, 330 mm Fluorescent linear lamp T4, 8 W, 220 VAC, 6500 K (cool daylight), 330 mm.